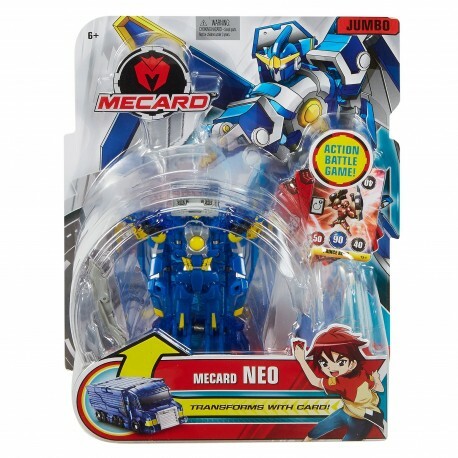 Mecard™ is a new head-to-head action battle game based on a popular animates series. 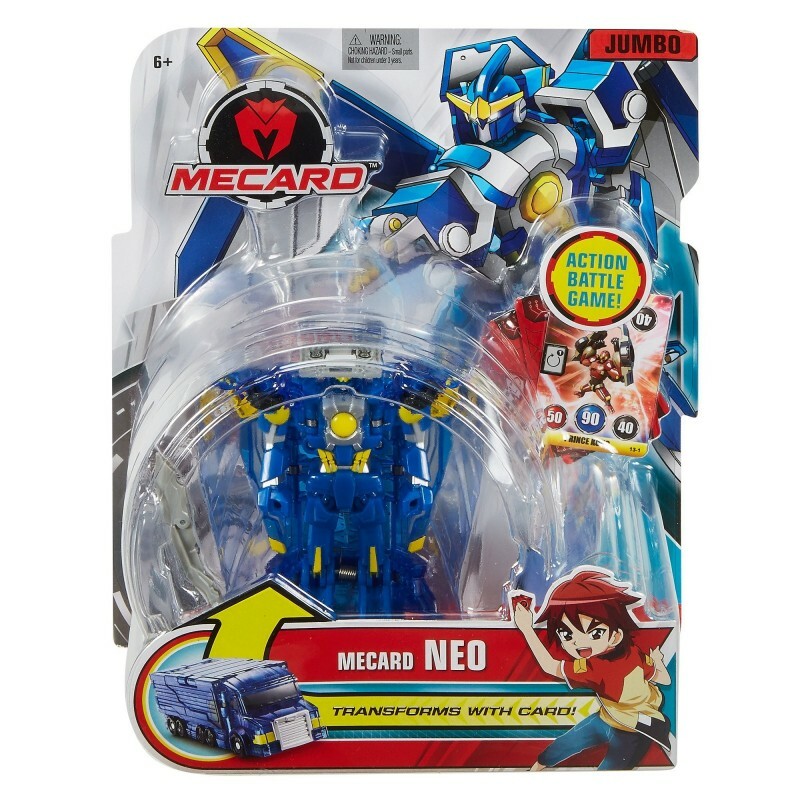 Mecard™ is a new head-to-head action battle game based on a popular animates series. 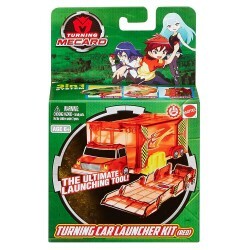 Now kids can play out Mecard action in real life with their own collection of Jumbo Mecardimals that they push over "magical" cards to instantly transform their vehicles into fantastical battling warriors! Each Mecardimal has a distinct faction color that's revealed when you peel off the Mecardimal's sticker – red, blue, or black. 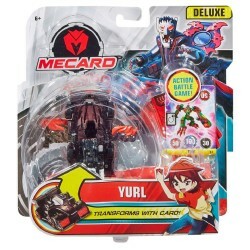 After landing on the card and transforming into a warrior, the Mecardimal holds up the card to display three different point values. Collect the points on the card that correspond with your Mecardimal’s faction color. The player with the highest points wins the card. The first player to win 3 cards wins the game! Includes one powerful purple game card and two regular game cards. Bring on the Jumbo-sized action! 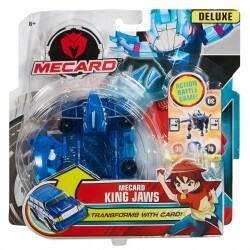 • Now with Jumbo Mecardimals, kids can play out Mecard action in head-to-head competition. • Push your Mecardimal over the “magical” game card, and watch your vehicle instantly transform into a fantastical battling warrior! 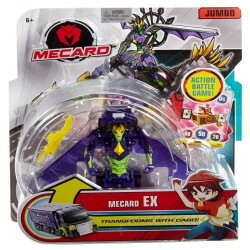 • Each Jumbo Mecardimal comes with three playing cards, including one powerful purple card. 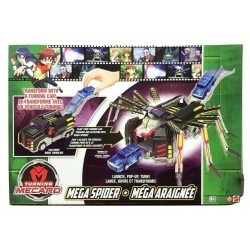 • Collect both Jumbo Mecardimals to recreate the best battles! • Catch our animated series on the Mattel Action! YouTube channel.